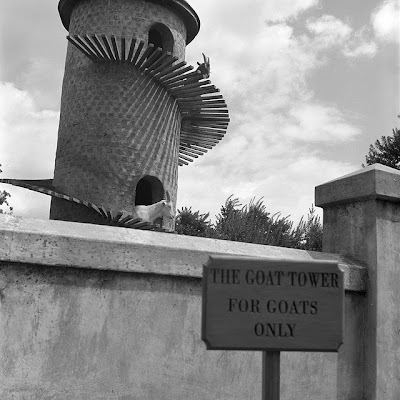 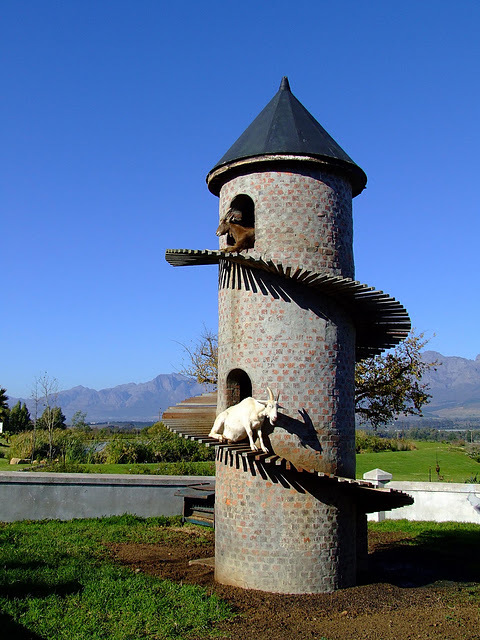 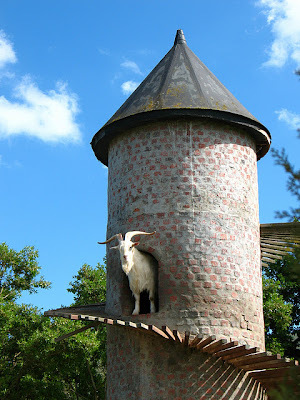 Specially built for goats, The Goat Tower is a unique monument erected at the Fairview Wine and Cheese Farm in South Africa. 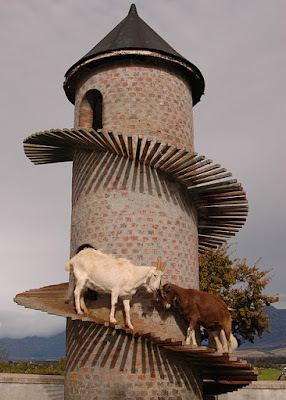 The tower consists spiral wooden staircases allowing the animals to climb with ease. 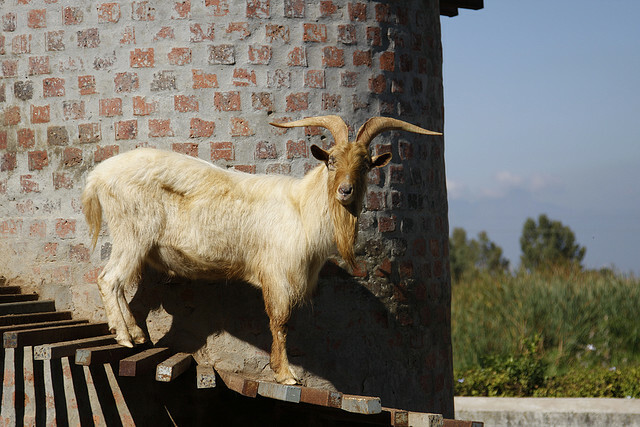 The structure was constructed in 1981 and since then it has become a symbol of the farm. 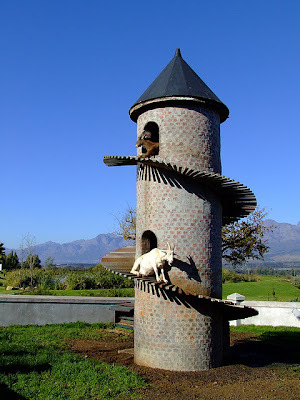 The wine produced by the farm is often referred to as "Goats do Roam".